Affordable replica e-edition for the community newspaper market. We specialize in community newspaper distribution and digital delivery. 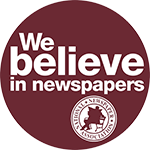 We have a variety of services for community newspapers.